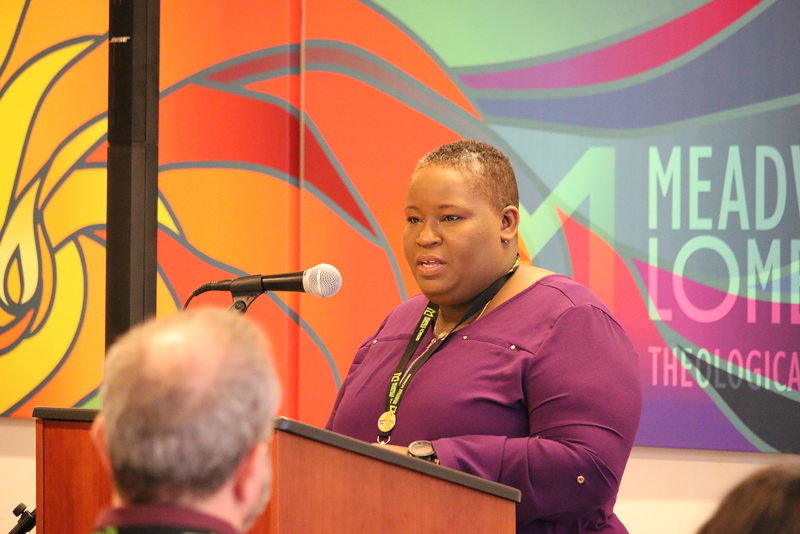 Antonia Bell-Delgado, a student in Community Studies Signature Course of our MDiv program, offered this reflection to fellow students, faculty, and staff during the MLK service at Meadville Lombard. Hers was the first of four reflections on Dr. King's "The Drum Major Instinct" sermon. 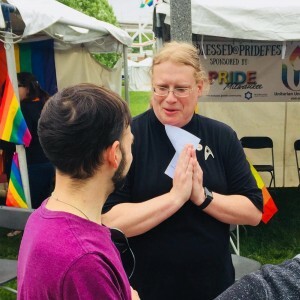 In early January, I found a blog post by Kim Hampton, a Christian/UU consultant and activist, advising white ministers not to preach about Rev. Dr. MLK, JR. On MLK Sunday. Her challenge to them was to preach about the issues that continue to be oppressive and unjust in our congregations and the wider world. You may be asking yourself if I have deputized Joe and Monica to be people of color because they are listed to preach today. I haven't, and that isn't actually a thing. You may be saying, well today isn’t Sunday so does it really matter? It does. We stand in solidarity with Kim. We hope that we have answered her call to advance Dr. King’s mission without fetishizing the man. Dr. King’s last sermon delivered in his hometown of Atlanta, Georgia, was The Drum Major Instinct. He was assassinated two months later. You will hear sections of that sermon today with reflections from the four seminarians. Now very quickly, we would automatically condemn James and John, and we would say they were selfish. Why would they make such a selfish request? But before we condemn them too quickly, let us look calmly and honestly at ourselves, and we will discover that we too have those same basic desires for recognition, for importance. That same desire for attention, that same desire to be first. There is deep down within all of us an instinct. It's a kind of drum major instinct—a desire to be out front, a desire to lead the parade, a desire to be first. And it is something that runs the whole gamut of life. And so before we condemn them, let us see that we all have the drum major instinct. When I read this sermon, I was reminded of the seminarians at Meadville. I have taken eight classes, and there have been at least four drum majors in each class. Sometimes, I was one of the four. We have built a culture in our student population that worships the ostentatious display of “rightness” at the steep cost of learning from our professors. We have delighted in being students at “THE” UU identified Seminary because everyone knows that Starr King has issues. I am declaring that EVERY SEMINARY HAS ISSUES. We are often careless with our communication about how lucky we are to be at MLTS and all of the benefits that we have here without considering how our privilege sets us apart from our siblings who are unable to attend our seminary. I know that I have. I know that I can be a better steward of the message. We must stop the elitism that we are cultivating. How can we change the elitism of our faith if we cultivate it in our seminarians? We can do better, and we must do better to have positive growth in ourselves, in our seminary and our faith. 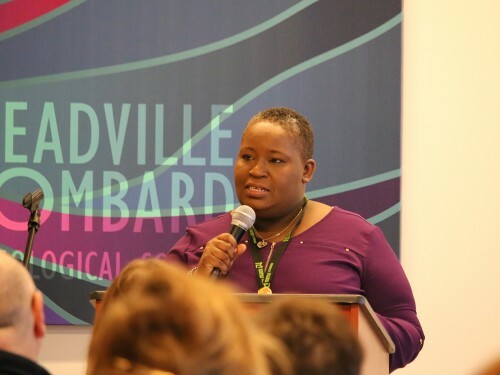 Antonia Bell-Delgado is in Community Studies Signature Course, the first year of our MDiv program. She lives in Wilmington, Delaware. Antonia is a seminarian, a social worker, a superhero and a rock hound.